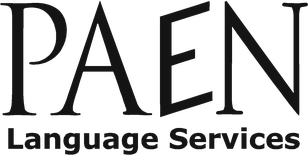 After founding PAEN Communications Ltd in 2003 we have spent the past 13 years building up a translation team of experienced perfectionists – just like us. From legal and marketing specialists working on contracts and press releases through to technical experts finetuning product specifications and user manuals, we use the right people for every task. If you think a translator's office view on London's Finsbury Park or Berlin's Brandenburg Gate adds little value to the translations you need for your company, then please read on. Welcome to a new way of doing (translation) business.